Due to the perils of working in retail, my better half and I have only recently celebrated Valentines Day. We decided to mark the belated occasion with a meal at Roast in Borough Market. The website looked daunting, however I had one of the best dining experiences of my life. The food was exceptional, with a reasonably priced three course set menu at £35 a head. The atmosphere was lively and there was even a Jazz band providing the background music. Many things impressed me with their range of drinks. Firstly, their oenomatic machines meant that there was a wide range of fine wines available by the glass. This is a huge development in helping to expand the variety of wine that people are able to sample. I hope these machines become more common in restaurants. Secondly, restaurants now value a range of quality craft beers as essential to a balanced drinks menu. Beer is not an afterthought at Roast, where they have three Meantime beers in the fridge; lager, pilsner, and Yakima Red. However it was their own brand beers, brewed for them by Whitstable brewery, that impressed me the most. They had a pilsner, wheat beer, IPA and Oyster stout available. Each of them are served in a signature glass, much as you would a wine. I had a wheat beer which came in its own Champagne style glass. This helped to accent wonderful notes of bubblegum and banana. 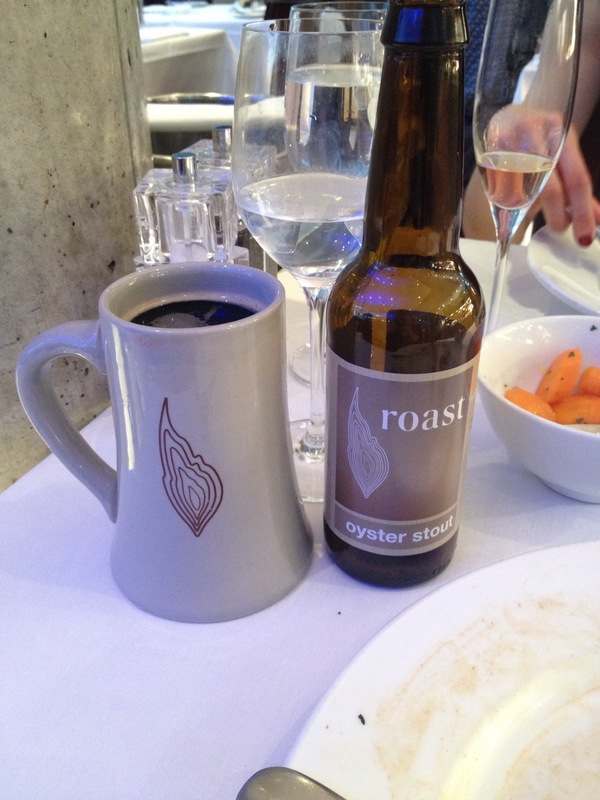 I then had the Oyster stout which came in a ceramic tankard which upfront had a good hit of coffee bitterness but then turned into a dark chocolate sweetness. Ideal with my desert. It is a shame I could not try their IPA, given the quality of the first two, however I intend on returning to Roast in the near future. If you are looking for a special lunch or dinner then I would highly recommend Roast. Leaving aside the excellence and breadth of their wine and beer list the food was lovely and the service impeccable. I urge you all to go and enjoy the Roast experience. 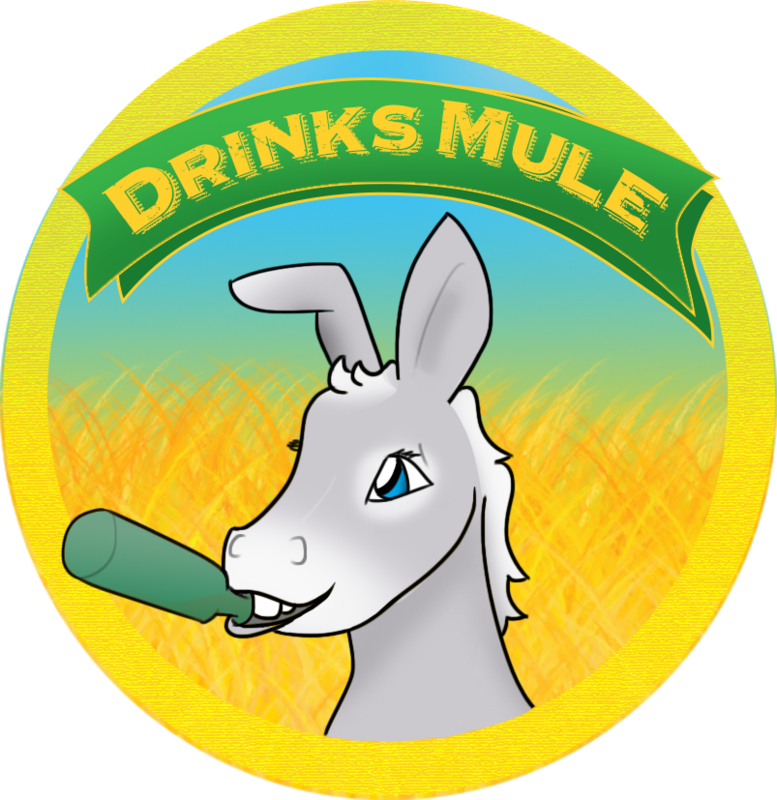 Ideally with one of their wheat beers! This entry was tagged Jazz, Meantime, Meantime Yakima Red, Mike, Roast, Whistable Brewery. Bookmark the permalink.